Bee and I went on a search for Shamrock Shakes this Saturday. I had no recollection of trying them before but once I took a sip the taste seemed so familiar. We started discussing other things that we wanted to try and one of them was the doritos taco, unfortunately we didn’t realize that it hadn’t been released yet. So instead we went to Tandoor House and got some samosas and paneer pakoras (my fave!). This entry was posted on February 29, 2012 by debbe. It was filed under 365, Food, Friends and was tagged with Food, pakora, paneer pakora, samosas, shamrock shakes, tandoor house, Winnipeg. The doritio tacos sounds interesting! 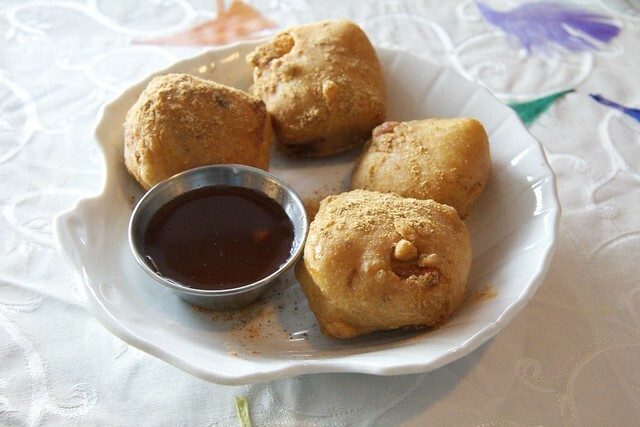 Looking at the photo makes me want some paneer pakoras!